It’s that time of year again – the Christmas season is upon us. 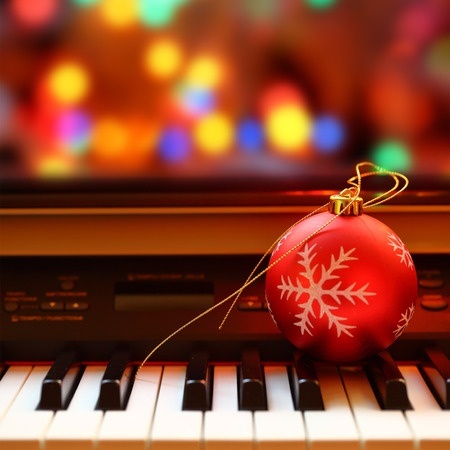 One of the best ways to spread holiday cheer is to sit down at the piano and play away some of the classic carols and tunes that celebrate the season. With the right music, you and your family can get into the festive spirit, so here are six great songs are perfect to kick off the season. A great song to sing, dance and play, this carol is a great way to start the Christmas season. With its upbeat tempo and strong melody, everyone will enjoy it – and best of all, everyone probably already knows the words! This is the perfect song for pianists and offers a lot of room for a player to add their own creative liberties. Play it at your own tempo and add your own flourishes to spice up this timeless classic. A dynamic song that has been in the seasonal rotation for more than a decade, this fun-to-play song makes listeners want to hear it over and over again. It has been covered by numerous artists over the decades, giving plenty of inspiration for adding your own personal touch. Fun for kids and adults, the upbeat tempo of this wintery tune is sure to bring a smile to everyone’s face. This is definitely a popular holiday season sing-along to bring in the cheer. As the most common Christmas carol, “Jingle Bells” is a must-have in your Christmas repertoire. Despite being written in 1957 for Thanksgiving, it is one of the best – and most well-known – songs to get the holidays started on the right foot. “Joy to the World” is a unique song that can be played in a variety of styles, from classical tempo to a jazzed-up interpretation. Just like “Silent Night,” there is a lot of room for improvisation, or you can just play the classic tune as written and enjoy the peaceful melodies. Playing the piano is a beautiful way to get into the holiday season and to bring your family together, which is why it’s important to keep your piano looking and sounding good. At East Coast Piano Building, we have rebuilt, restored, retuned and repaired a variety of pianos. We also offer a large piano selection for musicians and collectors, if you’re considering adding a new piano to your home this Christmas season as a gift for your budding musician. For more information on our available pianos or questions about piano restoration, call us today at 603-887-4489.